Volkswagen Certified, CARFAX 1-Owner, ONLY 19,973 Miles! 2.0L TDI S trim. Heated Seats, iPod/MP3 Input, Bluetooth, CD Player, Turbo, ROADSIDE ASSISTANCE KIT, Satellite Radio, Diesel. AND MORE!KEY FEATURES INCLUDEHeated Driver Seat, Turbocharged, Diesel, Satellite Radio, iPod/MP3 Input, Bluetooth, CD Player, Heated Seats. MP3 Player, Keyless Entry, Child Safety Locks, Steering Wheel Controls, Heated Mirrors.OPTION PACKAGESROADSIDE ASSISTANCE KIT booster cables, warning triangle, LED flashlight, multi-tool, work gloves, PVC tape, blanket, poncho, whistle, cable ties and bandages. Volkswagen 2.0L TDI S with REFLEX SILVER METALLIC exterior and BLACK CLOTH interior features a 4 Cylinder Engine with 150 HP at 3500 RPM*.VEHICLE REVIEWSThe backseat dwarfs just about every other one in the compact hatchback or sedan class. The Jetta's 15.7-cubic-foot trunk capacity is one of the best in the segment, too. -Edmunds.com. Great Gas Mileage: 45 MPG Hwy. Approx. Original Base Sticker Price: $22,700*.SHOP WITH CONFIDENCE100+ Point Dealer Inspection, Carfax Vehicle History Report, 24-Hour Roadside Assistance, 3-Month SiriusXM All-Access Trial Subscription, 2-Year or Unlimited-Mile Comprehensive Limited WarrantyVISIT US TODAYWe've been honored with several customer service awards, including a Volkswagen Generation Best Dealer award. We offer autos made with the power of German engineering. Volkswagen has thought about every detail of every car, every step of the way.Pricing analysis performed on 3/1/2019. Horsepower calculations based on trim engine configuration. Fuel economy calculations based on original manufacturer data for trim engine configuration. Please confirm the accuracy of the included equipment by calling us prior to purchase. 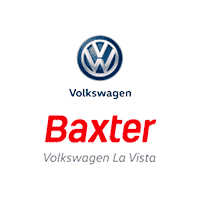 Volkswagen Certified, CARFAX 1-Owner, GREAT MILES 29,314! JUST REPRICED FROM $17,777, PRICED TO MOVE $2,900 below Kelley Blue Book! Moonroof, Heated Seats, Multi-CD Changer, iPod/MP3 Input, Smart Device Integration, Satellite Radio SEE MORE!KEY FEATURES INCLUDEHeated Driver Seat, Back-Up Camera, Turbocharged, Diesel, Satellite Radio, iPod/MP3 Input, Multi-CD Changer, Onboard Communications System, Smart Device Integration, Heated Seats MP3 Player, Sunroof, Keyless Entry, Steering Wheel Controls, Child Safety Locks.OPTION PACKAGESALARM KIT. Volkswagen 2.0L TDI SE w/Sunroof with FORTANA RED exterior and BEIGE LEATHERETTE interior features a 4 Cylinder Engine with 150 HP at 3500 RPM*.VEHICLE REVIEWSEdmunds.com explains The Passat's spacious interior caters to American tastes by allowing stretch-out room for adults both front and rear, as well as generous cargo capacity within its voluminous trunk.. Great Gas Mileage: 42 MPG Hwy.A GREAT TIME TO BUYReduced from $17,777. This Passat is priced $2,900 below Kelley Blue Book. Approx. Original Base Sticker Price: $29,100*.PURCHASE WITH CONFIDENCE100+ Point Dealer Inspection, Carfax Vehicle History Report, 24-Hour Roadside Assistance, 3-Month SiriusXM All-Access Trial Subscription, 2-Year or Unlimited-Mile Comprehensive Limited WarrantyMORE ABOUT USWe've been honored with several customer service awards, including a Volkswagen Generation Best Dealer award. We offer autos made with the power of German engineering. Volkswagen has thought about every detail of every car, every step of the way.Pricing analysis performed on 4/23/2019. Horsepower calculations based on trim engine configuration. Fuel economy calculations based on original manufacturer data for trim engine configuration. Please confirm the accuracy of the included equipment by calling us prior to purchase. Volkswagen Certified, GREAT MILES 21,305! Sunroof, Heated Seats, Keyless Start, Onboard Communications System, Dual Zone A/C, Smart Device Integration, Brake Actuated Limited Slip Differential, iPod/MP3 Input, Turbo Charged CLICK NOW!KEY FEATURES INCLUDEHeated Driver Seat, Back-Up Camera, Turbocharged, Premium Sound System, Satellite Radio, iPod/MP3 Input, Onboard Communications System, Keyless Start, Dual Zone A/C, Brake Actuated Limited Slip Differential, Smart Device Integration, Heated Seats. MP3 Player, Sunroof, Keyless Entry, Steering Wheel Controls, Child Safety Locks.OPTION PACKAGESROADSIDE ASSISTANCE KIT booster cables, warning triangle, LED flashlight, multi-tool, work gloves, PVC tape, blanket, poncho, whistle, cable ties and bandages. Volkswagen 2.0T GLI SE with PLATINUM GRAY METALLIC exterior and BLACK/CARBON LEATHERETTE interior features a 4 Cylinder Engine with 210 HP at 5300 RPM*.EXPERTS ARE SAYINGThe backseat dwarfs that of just about every other compact sedan and hatchback (including the Golf), and the remarkable 15.7-cubic-foot trunk is on par with bigger midsize sedans. -Edmunds.com. Great Gas Mileage: 33 MPG Hwy. Approx. Original Base Sticker Price: $28,000*.SHOP WITH CONFIDENCE112-Point Inspection and Reconditioning, 2 years/24,000 miles bumper-to-bumper limited warranty, 24-Hour Roadside Assistance, SiriusXM Satellite Radio 3-month trialBUY FROM AN AWARD WINNING DEALERWe've been honored with several customer service awards, including a Volkswagen Generation Best Dealer award. We offer autos made with the power of German engineering. Volkswagen has thought about every detail of every car, every step of the way.Pricing analysis performed on 2/16/2019. Horsepower calculations based on trim engine configuration. Fuel economy calculations based on original manufacturer data for trim engine configuration. Please confirm the accuracy of the included equipment by calling us prior to purchase. Volkswagen Certified, CARFAX 1-Owner, GREAT MILES 5,413! S trim, DEEP BLACK PEARL EFFECT exterior and GRAY CLOTH interior. iPod/MP3 Input, Bluetooth, Smart Device Integration, Back-Up Camera, Alloy Wheels, Turbo, All Wheel Drive. CLICK ME!KEY FEATURES INCLUDEAll Wheel Drive, Back-Up Camera, Turbocharged, iPod/MP3 Input, Bluetooth, Smart Device Integration. Rear Spoiler, MP3 Player, Privacy Glass, Keyless Entry, Child Safety Locks. Volkswagen S with DEEP BLACK PEARL EFFECT exterior and GRAY CLOTH interior features a 4 Cylinder Engine with 184 HP at 4400 RPM*.EXPERTS RAVEEdmunds.com explains Top-notch material quality is evident throughout. The Tiguan feels more upscale than most in the segment.. Great Gas Mileage: 27 MPG Hwy.SHOP WITH CONFIDENCE1-Year or 12,000-Mile (whichever comes first) Comprehensive Limited Warranty, 100+ Point Dealer Inspection, Carfax Vehicle History Report, 24-Hour Roadside Assistance, 3-Month SiriusXM All-Access Trial SubscriptionBUY FROM AN AWARD WINNING DEALERWe've been honored with several customer service awards, including a Volkswagen Generation Best Dealer award. We offer autos made with the power of German engineering. Volkswagen has thought about every detail of every car, every step of the way.Pricing analysis performed on 2/28/2019. Horsepower calculations based on trim engine configuration. Fuel economy calculations based on original manufacturer data for trim engine configuration. Please confirm the accuracy of the included equipment by calling us prior to purchase. CARFAX 1-Owner, LOW MILES - 28,967! WAS $18,550, $3,000 below Kelley Blue Book! Crystal Black Pearl exterior and Black interior, LX trim. Bluetooth, CD Player, Dual Zone A/C, iPod/MP3 Input, Alloy Wheels, Back-Up Camera. CLICK ME!KEY FEATURES INCLUDEBack-Up Camera, iPod/MP3 Input, Bluetooth, CD Player, Dual Zone A/C MP3 Player, Keyless Entry, Remote Trunk Release, Child Safety Locks, Steering Wheel Controls. Honda LX with Crystal Black Pearl exterior and Black interior features a 4 Cylinder Engine with 185 HP at 6400 RPM*.EXPERTS CONCLUDEnewCarTestDrive.com's review says The Accord delivers an excellent ride and nicely balanced handling. Road manners rank as stellar. Unlike some electric power steering systems, Honda's inspires confidence, offering good centering and largely linear weighting.. Great Gas Mileage: 36 MPG Hwy.EXCELLENT VALUEWas $18,550. This Accord Sedan is priced $3,000 below Kelley Blue Book. Approx. Original Base Sticker Price: $23,300*.BUY WITH CONFIDENCECARFAX 1-OwnerBUY FROM AN AWARD WINNING DEALERWe've been honored with several customer service awards, including a Volkswagen Generation Best Dealer award. We offer autos made with the power of German engineering. Volkswagen has thought about every detail of every car, every step of the way.Pricing analysis performed on 4/16/2019. Horsepower calculations based on trim engine configuration. Fuel economy calculations based on original manufacturer data for trim engine configuration. Please confirm the accuracy of the included equipment by calling us prior to purchase. PRICE DROP FROM $26,950, $3,000 below Kelley Blue Book! CARFAX 1-Owner, ONLY 10,578 Miles! Heated Leather Seats, Lane Keeping Assist, Dual Zone A/C, Blind Spot Monitor, Smart Device Integration, Back-Up Camera, Alloy Wheels SEE MORE!KEY FEATURES INCLUDELeather Seats, Heated Driver Seat, Back-Up Camera, iPod/MP3 Input, Bluetooth, Keyless Start, Dual Zone A/C, Lane Keeping Assist, Smart Device Integration, Blind Spot Monitor, Heated Seats, Heated Leather Seats Rear Spoiler, MP3 Player, Keyless Entry, Remote Trunk Release, Steering Wheel Controls. Toyota XSE with WIND CHILL PEARL exterior and BLACK interior features a 4 Cylinder Engine with 206 HP at 6600 RPM*.EXPERTS REPORTEdmunds.com explains The big and comfortable seats, well-executed ride and powerful climate control mean the Camry will suit drivers of most sizes well even on long trips.. Great Gas Mileage: 39 MPG Hwy.PRICED TO MOVEReduced from $26,950. This Camry is priced $3,000 below Kelley Blue Book.BUY FROM AN AWARD WINNING DEALERWe've been honored with several customer service awards, including a Volkswagen Generation Best Dealer award. We offer autos made with the power of German engineering. Volkswagen has thought about every detail of every car, every step of the way.Pricing analysis performed on 4/16/2019. Horsepower calculations based on trim engine configuration. Fuel economy calculations based on original manufacturer data for trim engine configuration. Please confirm the accuracy of the included equipment by calling us prior to purchase. ONLY 23,573 Miles! REDUCED FROM $25,995!, $1,900 below Kelley Blue Book! R/T trim. Keyless Start, Bluetooth, Smart Device Integration, Dual Zone A/C, iPod/MP3 Input, TRANSMISSION: 6-SPEED MANUAL TREMEC, SUPER TRACK PAK CLICK NOW!KEY FEATURES INCLUDEiPod/MP3 Input, Bluetooth, Keyless Start, Dual Zone A/C, Smart Device Integration MP3 Player, Keyless Entry, Steering Wheel Controls, Heated Mirrors, Electronic Stability Control.OPTION PACKAGESSUPER TRACK PAK Sport Suspension, Wheels: 20 x 8.0 Granite Crystal Aluminum, Performance Steering, Rear Bodycolor Spoiler, Steering Wheel Mounted Shift Control, ParkView Rear Back-Up Camera, Tires: P245/45ZR20 BSW 3-Season Performance, Goodyear Brand Tires, High Speed Engine Controller, Dodge Performance Pages, ParkSense Rear Park Assist System, SIRIUSXM SATELLITE RADIO, TRANSMISSION: 6-SPEED MANUAL TREMEC (STD), ENGINE: 5.7L V8 HEMI VVT (STD). Dodge R/T with Pitch Black Clear Coat exterior and Black interior features a 8 Cylinder Engine with 375 HP at 5150 RPM*.EXPERTS REPORTEdmunds.com explains The Challenger is a king among coupes with its class-leading passenger and cargo space. It's a far more livable daily driver than its coupe/muscle-car competition..EXCELLENT VALUEReduced from $25,995. This Challenger is priced $1,900 below Kelley Blue Book. Approx. Original Base Sticker Price: $33,000*.WHY BUY FROM USWe've been honored with several customer service awards, including a Volkswagen Generation Best Dealer award. We offer autos made with the power of German engineering. Volkswagen has thought about every detail of every car, every step of the way.Pricing analysis performed on 4/16/2019. Horsepower calculations based on trim engine configuration. Please confirm the accuracy of the included equipment by calling us prior to purchase. PRICE DROP FROM $46,500, $4,400 below Kelley Blue Book! Heated Leather Seats, DVD Entertainment System, Third Row Seat, Navigation, Aluminum Wheels, Captains Chairs, 4x4, Trailer Hitch, ENGINE, 5.3L ECOTEC3 V8 WITH ACTIVE F... SEE MORE!KEY FEATURES INCLUDELeather Seats, Third Row Seat, Quad Bucket Seats, Power Liftgate, Rear Air, Heated Rear Seat, Cooled Rear Seat, Back-Up Camera, Running Boards, Premium Sound System, Onboard Communications System, Trailer Hitch, Remote Engine Start, Dual Zone A/C, WiFi Hotspot. 4x4, Remote Trunk Release, Privacy Glass, Keyless Entry, Steering Wheel Controls.OPTION PACKAGESSUN, ENTERTAINMENT AND DESTINATIONS PACKAGE includes additional 9 months of SiriusXM Radio and NavTraffic service, (CF5) power sunroof, (U42) rear seat DVD entertainment system and (IO6) Chevrolet MyLink radio with navigation, ENTERTAINMENT SYSTEM, REAR SEAT, BLU-RAY/DVD with remote control, overhead display, two 2-channel wireless infrared headphones and auxiliary audio/video input jacks and USB port, SEATING, FRONT BUCKET WITH PERFORATED LEATHER-APPOINTED HEATED AND COOLED SEAT CUSHIONS 12-way power driver and passenger seat includes 6-way power cushions, driver seat 2-position memory, 4-way power lumbar control and power recline (STD), TRANSMISSION, 6-SPEED AUTOMATIC, ELECTRONICALLY CONTROLLED with overdrive and tow/haul mode (STD), AUDIO SYSTEM, CHEVROLET MYLINK RADIO WITH NAVIGATION AND 8 DIAGONAL COLOR TOUCH-SCREEN AM/FM stereo, seek-and-scan and digital clock, includes Bluetooth streaming audio for music and select phones; voice-activated technology for radio and phone; featuring Apple CarPlay capability for compatible phone; includes 5 USB ports and 1 auxiliary jack (STD), ENGINE, 5.3L ECOTEC3 V8 WITH ACTIVE FUEL MANAGEMENTA GREAT TIME TO BUYReduced from $46,500.Pricing analysis performed on 4/16/2019. Horsepower calculations based on trim engine configuration. Please confirm the accuracy of the included equipment by calling us prior to purchase. WAS $56,995, $2,000 below Kelley Blue Book! CARFAX 1-Owner. Heated Leather Seats, Tow Hitch, Bed Liner, GOOSENECK / 5TH WHEEL PREP PACKAGE -- HITCH PLATFORM TO ACCEPT GOOSENECK OR FIFTH WHEEL HITCH. Back-Up Camera, Satellite Radio CLICK NOW!KEY FEATURES INCLUDEBack-Up Camera, Satellite Radio, Onboard Communications System, Remote Engine Start, Dual Zone A/C, WiFi Hotspot. 4x4, Keyless Entry, Privacy Glass, Electronic Stability Control, Heated Mirrors.OPTION PACKAGESLTZ PLUS PACKAGE, FOR CREW CAB AND DOUBLE CAB includes (JF4) power adjustable pedals, (UQA) Bose premium audio system, (UVD) heated leather-wrapped steering wheel and (UD5) Front and Rear Park Assist, LPO, ASSIST STEPS - 6 CHROMED RECTANGULAR, SEATING, HEATED AND VENTED PERFORATED LEATHER-APPOINTED FRONT BUCKET, SEATS, FRONT FULL-FEATURE LEATHER-APPOINTED BUCKET WITH (KA1) HEATED SEAT CUSHIONS AND SEAT BACKS. Includes 10-way power driver and front passenger seat adjusters, including 2-way power lumbar control, 2-position driver memory, adjustable head restraints, (D07) floor console storage pockets and (K4C) wireless charging. AUDIO SYSTEM, CHEVROLET MYLINK RADIO WITH NAVIGATION AND 8 DIAGONAL COLOR TOUCH-SCREEN, AM/FM STEREO with seek-and-scan and digital clock, includes Bluetooth streaming audio for music and select phones; USB ports; auxiliary jack; voice-activated technology for radio and phone; and Shop with the ability to browse, select and install apps to your vehicle. Apps include Pandora, iHeartRadio, The Weather Channel and more. BED LINER, SPRAY-ON Pickup box bed liner with bowtie logo. Liner is permanently bonded to the truck bed providing a water tight seal. The textured, non-skid surface is black in color and robotically applied. Spray-on liner covers entire bed interior surface below side rails, including tailgate, front box top rail, gage hole plugs and lower tie down loops.Pricing analysis performed on 4/12/2019. Horsepower calculations based on trim engine configuration. Please confirm the accuracy of the included equipment by calling us prior to purchase.